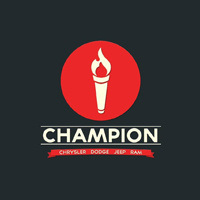 Champion is Lisa’s first dive into the Automotive Industry, and she started that journey back in 2011. She came from customer service in the food and beverage industry. She has a passion for art, couponing, fishing, and kayaking. Lisa has an over-the-top personality full of humor and kindness. Originally from Bay St. Louis she moved to Woolmarket to settle down and have a family. She strives to learn everything she can so she can move further up the management ladder. Her dealership hero is Kathy May.